Homes like this in subdivisions like this are few and far between. A unique opportunity to experience living to the fullest extent in a community of exceptionally fine homes. With great lake views, a 10X28 boat slip just a short golf cart ride away, and a 650 sq. ft. unfinished storage/workshop area you simply can't duplicate it! Come experience pride of ownership with this well maintained home sitting on a large lot with a very gentle driveway. Just across the street is the pool, bball & tennis courts. Oversized garage, partial brick exterior, outside shed & gazebo, new carpet, and composite decking are just a few of the great features of this low maintenance home. This is truly a great floorplan with room for everyone. 5 bedrooms including a wonderful master bedroom/bath on the main level plus an office on the lower level that could be used as a 6th bedroom. You will love sitting on the large deck and taking in the peaceful lake views & you will appreciate the easy Hwy 54 access. 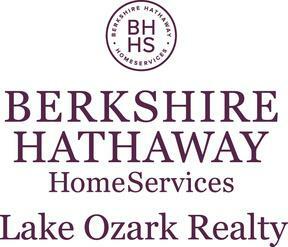 I am interested in 1169 Broadwater Ln, Osage Beach, MO 65065 (Listing ID # 3512909).